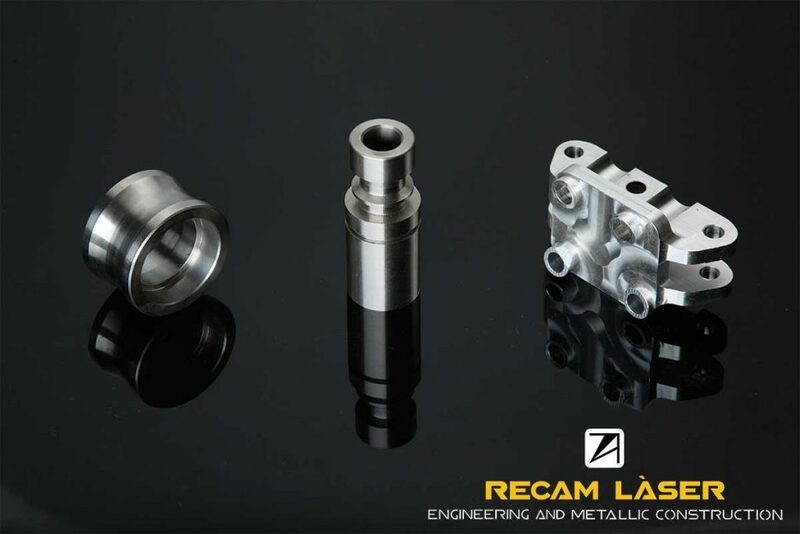 CNC machining is a process widely anchored to the metallurgical sector, both for the manufacture of individual components, as well as for components that can then be mechanically fixed or welded. We have six machining centers in three and five axes, as well as three lathes with “C” axis and conventional machinery. We perform offline programming, as it give us agility and security in the final result. Thanks to the programming, the experience and the team, we can manufacture the parts, however complex they are, in a short period of time, which allows us to offer the urgent service in this process too. 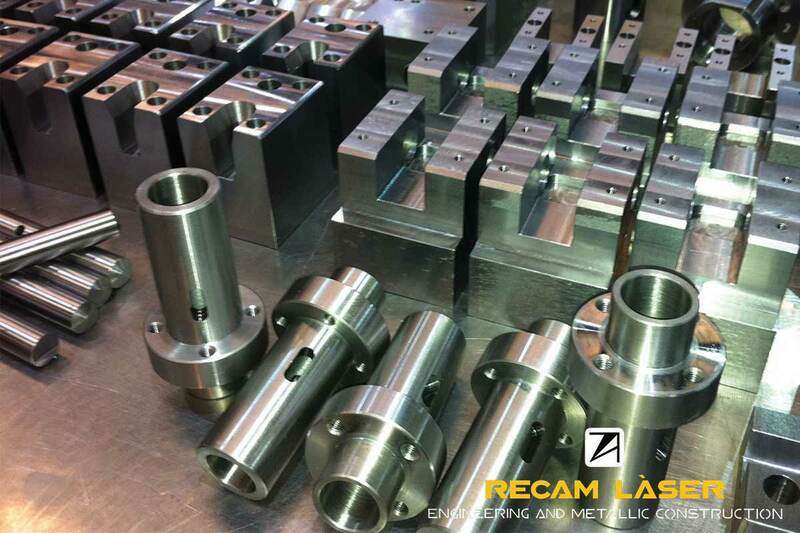 At Recam Laser we have CNC machining, we make our programming offline, which gives us great security and agility in the final result of the product. CNC is the abbreviation of Computer Numerical Control. This system is in charge of controlling in which position it is any physical element (in this case and usually, an assembled part on a machine). Thanks to this system, we can know with accuracy, what will be the final result, for which it is possible to create serial components completely equals. 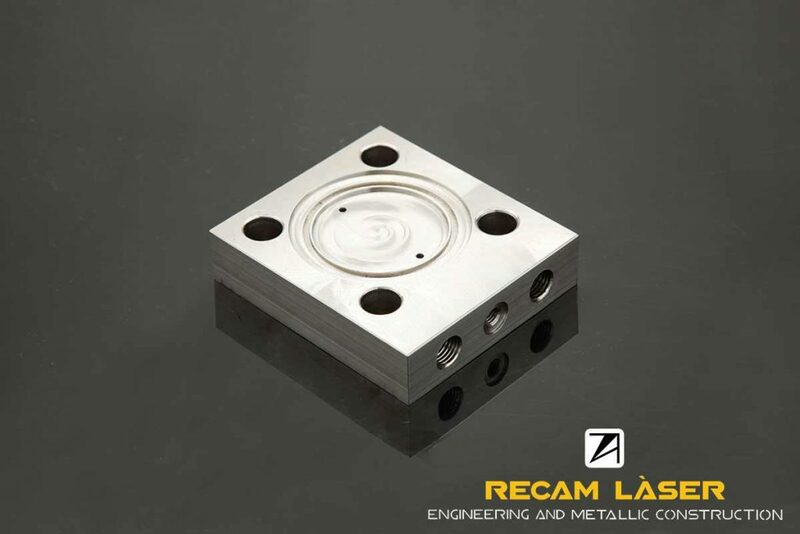 At Recam Laser we are experts in the laser cutting specially to realize industrial steel sheet. To carry it out, we have a specialized machinery that uses the most advanced technology to offer a quality service. We work with companies or individuals, focused at all time in adapt to their needs. In our facilities we have 6 CNC machining centres, in 3 and 5 axes, and 3 lathes with “C” axis, as well as traditional machinery. The programming we use allows us to work agile and quickly and guarantee the quality of all our work and services.